Lucille Tenazas is an educator and graphic designer based in New York. She is the Henry Wolf Professor and Associate Dean of the School of Art, Media and Technology (AMT) at Parsons The New School for Design. Her emphasis is on the intersection of design, craft and technology, working with students on hybrid and cross-platform ways of communication design practice. She was the Founding Chair of the MFA program in Design at California College of the Arts in San Francisco where she taught for 20 years. The program she developed was characterized by an interdisciplinary focus, bridging theory and practice and moving beyond the traditional aspects of design education to the development of personal voice as a filter in addressing communication design issues. She is the principal of Tenazas Design, working primarily on projects for cultural, educational and non-profit organizations as well as city, state, and Federal agencies. The firm was based in San Francisco but relocated to New York in 2006, returning to the city where she originally began her practice in 1982. Her clients have included the Design Arts Program of the NEA, Dwell Magazine, Neue Galerie for German and Austrian Art, Princeton Architectural Press, San Francisco Museum of Modern Art, Stanford University Art Museum, the San Francisco International Airport, and the Redevelopment Agency of San Francisco. Lucille’s work has been featured in many publications and exhibitions both nationally and internationally, as well as in museum exhibitions, at the San Francisco Museum of Modern Art and the Cooper-Hewitt National Design Museum. She served as the national president of the American Institute of Graphic Arts (AIGA), from 1996-98, representing the first appointment outside of New York in the organization’s then 80-year history. She was awarded the National Design Award for Communication Design by the Cooper Hewitt National Design Museum in 2002 and was honored as one of the ID Forty, ID Magazine’s selection of America’s leading design innovators. In 2013, she received the AIGA Medal, the American Institute of Graphic Art’s highest honor recognized for a lifetime achievement in design. 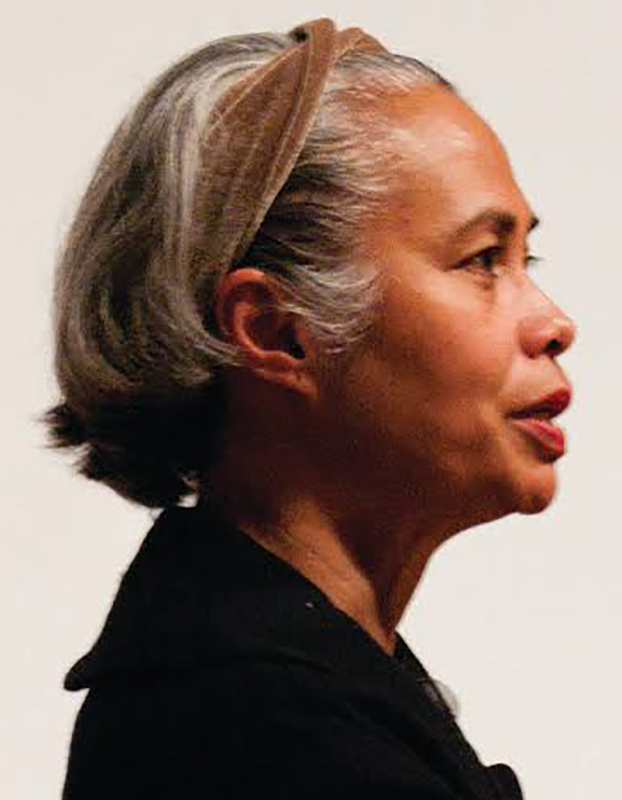 Lucille has lectured and taught extensively here and abroad and has participated in numerous juries and design panels. Her interest in design education has led her to conduct workshops in institutions throughout the United States and abroad, in London, Paris, Naples, Lugano, Istanbul, Stockholm, Seoul, Taipei, Beijing and Manila. Originally from the Philippines, she is a BFA graduate of the College of the Holy Spirit Manila and studied at California College of the Arts in San Francisco. She holds an MFA in Design from Cranbrook Academy of Art.